“We continue to have fire problems for a number of reasons; first of all, the way we build our homes and the things we put in our homes are different today,” said Lorraine Carli, vice president of Outreach and Advocacy for the National Fire Prevention Association (nfpa.org). 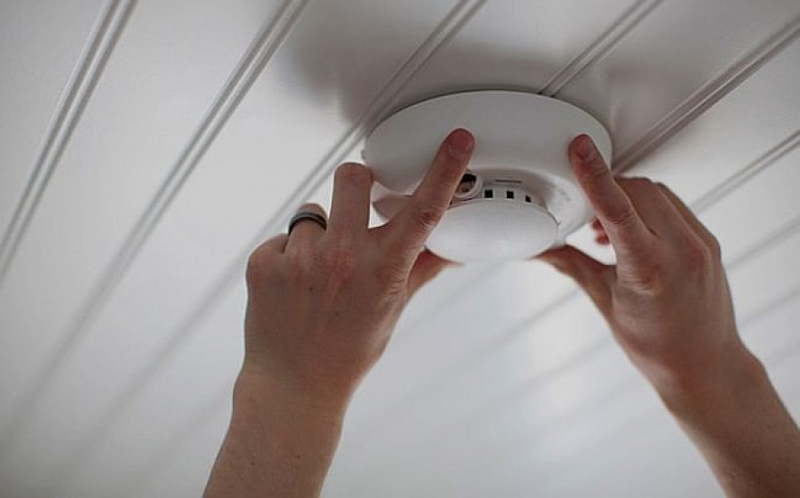 Quiz Question: How many minutes will you have to safely escape your home once a smoke alarm starts screaming? Answer: LESS THAN TWO MINUTES!!!! Last Christmas Eve, a family of four died in a home fire. Their newly-renovated vacation home was known to have fully-functioning smoke alarms, but this was not enough to save the two children or the parents. The cause of the fire remains unknown although it started in the livingroom. The two-storey cathedral ceiling in the livingroom did not cause the fire, but it is believed to be the culprit in accumulating life-threatening toxic smoke. As is all too common with vaulted ceilings, the peaks are too high to easily position and maintain smoke alarms. In this case, smoke from the livingroom fire accumulated in the cathedral ceiling before triggering smoke alarms in time to warn to the family. Have a safe, happy Holiday Season. All the Joy of the Season to you and your family!